THE RUSH RELEASES TOMORROW..... A gamer's paradise this book is. 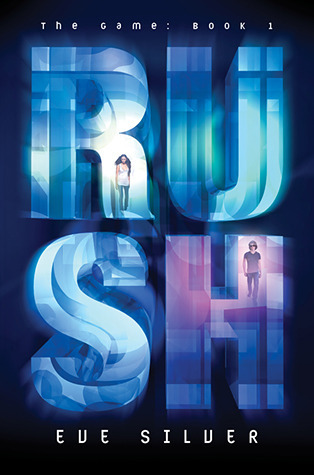 Presenting The Game #1 Rush by Eve Silver. Ok I'll try again..... this is Miki Jones' tale, who dies after trying to save a child from an oncoming truck. As an after life extravaganza, Miki gets pulled into a world not her own. A world governed by laws not her own. She finds that there is more to this world than she ever knew. Contrary to popular believes there are other species in this universe too besides us and they want to take over Earth. Its a game.... its a very dangerous game Miki and her group must play to keep the enemy at bay. I confess it took me a little time to actually get into the book because Ms. Silver didn't leave breathing space in this. Quite good work too. The rules of the game are vague but the action pretty much makes up for it and that is what makes it such an interesting introduction. What is remarkable is that romance takes an almost backseat in this book and that was what made it all the more interesting..... make room for the action to flourish. I am totally eager for its thrilling sequel(even though this is just releasing). I really enjoyed this one as well; it was such a unique concept. The ending was quite the surprise so I'm definitely keen to read the next book.